Due to popular demand the Zo Damage 365 Day Project exhibition at Arts Centre Melbourne as part of The Kiln initiative has been extended with the installation on show for an additional three days. The Zo Damage 365 Day Project installation will now show 13 – 15 August. The Damage Report combines Zo’s immersive photography from her 365 Day Project with a selection of quotes and abstracts from artists featured. The book, which offers a unique perspective and insight into this vital cultural hub, is presented as a stunning document of historical significance from the perspective of the live music scene itself. The immensity of the Zo Damage 365 Day Project is inspiring in the sheer breadth of its volume and vision, as well as in its representation of music culture and community. 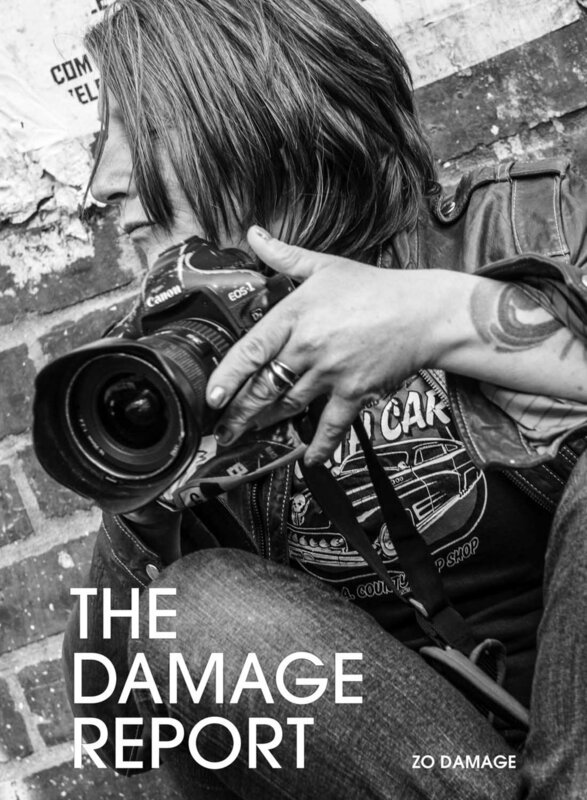 The Damage Report book, and photographs from the Zo Damage 365 Day Project collection available to purchase at the launch on 11 August. The Damage Report book will also be available to purchase at Arts Centre Melbourne. Sponsored by Prism Imaging, Young Henrys and Goatsound Studios.